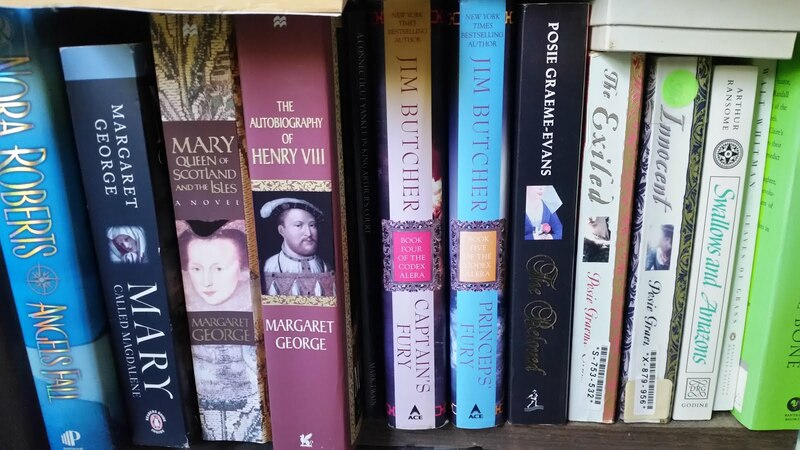 After taking the summer off, I am back with a new list of books and topics for the blog. Yes, I have been gone for quite a while. My boys were here visiting for the summer and my husband, youngest son, and I took off for a 5 week road trip from the beginning of July until the middle of August. The rest of the time was spend catching up with both of them and my older son's girlfriend until they left last week to go back home to Oregon. Now that the house is quiet again (almost too quiet for my taste, actually), I should be able to get back on track and up to speed. Although the summer did not provide me the opportunity to read as much as I usually do, I did manage to get some excellent books read and will be discussing them in the next few days or weeks. 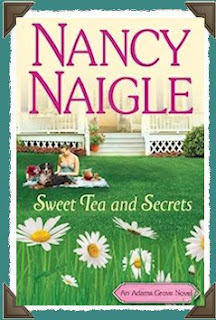 To start off, I read two books by new Southern author, Nancy Naigle. A friend of mine called Nancy Naigle's first book "whole lot of love story and a little bit of mystery, with a southern drawl." (Thanks Pamela). Let me just say that her statement sums this book up so perfectly that I had to borrow it for my review as I couldn't think of anything better to say. Nancy Naigle is a great new voice in Southern lit. Her first novel, Sweet Tea and Secrets, is a delightful read which takes place in a small Southern town where everyone knows everyone else. The main protagonist, Jill, returns home to settle the estate of her grandmother, who was loved and known by all in the town. While there, she meets up with her ex-fiance and, well, you know the drill. While there are no great surprises in the book, the story is enjoyably easy to read and flows with a smoothness that is reminiscent of an afternoon on a porch sipping mint juleps, or sweet tea in deference to the title. I found the characters were easy to love, or hate, as required by the story, and found myself wanting to be immersed in the warmth and culture of Adams Grove. I will definitely be reading more of Ms. Naigles Adams Grove books and in fact, have already read the second book, Out of Focus, which I enjoyed as much as this one. When I went to post my review to Amazon, I found that this book is out of print and that a newer revised version is slated to be released soon. This review deals with the original version, so a caveat that I have not read the new edition with the new scenes, but I presume it is pretty much the same as this one. If you like romance books with a Southern voice, I suggest you grab this one and spend a bit of time getting to know that folks in Adams Grove. 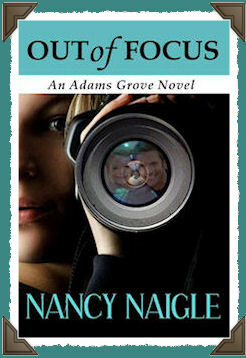 Out of Focus is the title of Southern Author Nancy Naigle's second Adams Grove novel. Like her first book, Sweet Tea and Secrets, this book has a smooth storyline with a wonderful Southern voice. Unlike the first one, this book is a little more mystery and a little less romance. Both are equally good reads. This time we are introduced to Kasey, who is a new comer to Adams Grove. While on the road working as a photographer on tour with a country singing star, Kasey's husband has been having the folks in Adam's Grove build the perfect house for them and their son. When he is killed and their son, Jake, goes missing, Kasey moves into the house in Adams Grove to search for Jake. I actually enjoyed this book a little bit better since it was more of a mystery and less of a romance. I thought the mystery was well crafted. Although I guessed who the perpetrator was, it was not AS transparent as in the first book and the mystery had a little more depth to it. That said, I believe that the author played the romance part of the book just right. It would have been too strange to have Kasey get involved in a big romance so close to the death of her husband, and I believe it would have hurt the story for that to happen. Finally, although this book was also set in Adams Grove, to say that these books were are a series is a bit of a stretch. The overlap of characters between the two is very small. In fact, it was so small that it was a bit confusing as to which story came first. In addition, there was one disconnect between the two books that threw me for a loop for a while. I won't say anymore than that. The bottom line is that there were some characters in the first book that I would really like to get to know better, and I hope that the author continues to write about Adams Grove and includes some of those characters in future stories. Adams Grove is definitely a town that one would like to spend more time in as a reader and settle in as a character. The Adams Grove books that Nancy has written so far actually sort of reminded me a bit of the Southern romantic suspense books written by Nora Roberts, especially the Garden Trilogy. If you like the types of books that Nora writes, or Romantic Suspense set in the South, I recommend picking up these two books and getting acquainted with Adams Grove. Thanks for the lovely reviews!